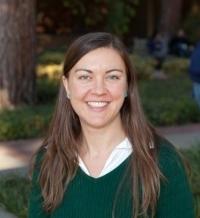 (Ph.D. University of California - Berkeley, 2009) is an Assistant Professor with research in biogeography and ecosystem science, emphasizing on tropical ecology and global change factors. My research is in biogeography and ecosystem science, with an emphasis on biogeochemistry and global change factors. I focus on drivers of plant-soil-microbe processes and carbon cycling with changes in climate and nutrient availability (e.g. nitrogen deposition, warming, deforestation, and fire regime). In addition to altering plant productivity and carbon inputs to soils, global change can directly alter soil carbon storage via changes in microbial activity, decomposition, and soil chemical properties. My current projects are: 1) biogeochemical impacts of urbanization in Latin American watersheds; 2) long-term soil carbon storage across climate and soil weathering gradients in HawaiÄôi; 3) effects of charcoal on plant-soil-microbe interactions in fire-prone California grasslands. “Will Changes in Plant Growth and Litterfall Alter Long-Term Soil Carbon Storage in Tropical Forests?” University of California – Los Angeles, Faculty Research Grant, 2013-2014. “Does Nitrogen Pollution Affect Carbon Cycling in Nitrogen-Rich Tropical Forests?” University of California – Los Angeles, Hellman Fellows Award, 2012-2014.